Greta Garbo, born Greta Lovisa Gustafsson (18 September 1905 – 15 April 1990), was a Swedish-born American film actress during the 1920s and 1930s. Garbo was nominated three times for the Academy Award for Best Actress and received an Academy Honorary Award in 1954 for her "luminous and unforgettable screen performances." In 1999, the American Film Institute ranked Garbo fifth on their list of the greatest female stars of classic Hollywood cinema, after Katharine Hepburn, Bette Davis, Audrey Hepburn and Ingrid Bergman. Garbo launched her career with a secondary role in the 1924 Swedish film The Saga of Gosta Berling. Her performance caught the attention of Louis B. Mayer, chief executive of Metro-Goldwyn-Mayer (MGM), who brought her to Hollywood in 1925. She immediately stirred interest with her first silent film, Torrent, released in 1926; a year later, her performance in Flesh and the Devil, her third movie, made her an international star. Garbo's first talking film was Anna Christie (1930). MGM marketers enticed the public with the catch-phrase "Garbo talks!" That same year she starred in Romance. For her performances in these films she received the first of three Academy Award nominations for Best Actress. (Academy rules at the time allowed for a performer to receive a single nomination for their work in more than one film). In 1932, her popularity allowed her to dictate the terms of her contract and she became increasingly selective about her roles. Her success continued in films such as Mata Hari (1931) and Grand Hotel (1932). Many critics and film historians consider her performance as the doomed courtesan Marguerite Gautier in Camille (1936) to be her finest. The role gained her a second Academy Award nomination. Garbo's career soon declined, however, and she was one of the many stars labeled "Box Office Poison" in 1938. Her career revived upon her turn to comedy in Ninotchka (1939), which earned her a third Academy Award nomination, but after the failure of Two-Faced Woman (1941), she retired from the screen, at the age of 35, after acting in twenty-eight films. From then on, Garbo declined all opportunities to return to the screen. Shunning publicity, she began a private life. Garbo also became an art collector in her later life; her collection, including works from painters such as Pierre-Auguste Renoir, Pierre Bonnard, and Kees van Dongen, was worth millions of dollars when she died. In 1937, she met conductor Leopold Stokowski, with whom she had a highly publicized friendship or romance while traveling throughout Europe the following year. In his diary, Erich Maria Remarque discusses a liaison with Garbo in 1941, and in his memoir, Cecil Beaton described an affair with her in 1947 and 1948. In 1941 she met the Russian-born millionaire, George Schlee, who was introduced to her by his wife, fashion designer Valentina. Nicholas Turner, Garbo's close friend for 33 years, said that, after she bought an apartment in the same building, "Garbo moved in and took Schlee right away from Valentina." Schlee would split his time between the two, becoming Garbo's close companion and advisor until his death in 1964. 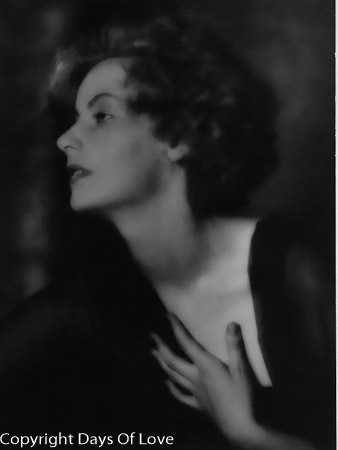 Recent biographers and others believe that Garbo was bisexual or lesbian, that she had intimate relationships with women as well as with men. In 1927, Garbo was introduced to stage and screen actress Lilyan Tashman and they may have had an affair, according to some writers. Silent film star Louise Brooks stated that she and Garbo had a brief liaison the following year. In 2005, Mimi Pollak's estate released 60 letters Garbo had written her in their long correspondence. Several letters suggest she may have had romantic feelings for Pollak for many years. After learning of Pollak's pregnancy in 1930, for example, Garbo wrote "We cannot help our nature, as God has created it. But I have always thought you and I belonged together". In 1975, she wrote a poem about not being able to touch the hand of her friend with whom she might have been walking through life.